Creative event and incentive agency Penguins has taken on three new members of staff as the company reports continued growth. 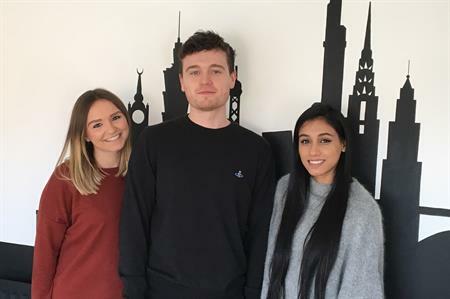 Creative event and incentive agency Penguins has hired three new staff members in response to "substantial growth" the company has enjoyed in recent months. The growth means three new roles, with Serena Panchal joining as a project coordinator, Aidan McSorely as a production coordinator and Gemma Price joining as incentives project manager. McSorely will primarily be supporting the creative and technical production of upcoming events, from beginning to end. He will assist the team with branding design, artwork creation, client meetings and onsite event support for clients such as British Airways and GSK. Price takes a pivotal role in the incentive travel team acting as a main point of contact for clients, venues and DMC’s, conducting site visits and onsite management. Penguins managing director Mark Buist said: "They couldn’t have joined us at a better time. I hope they are as excited as I am for the journey ahead." The Penguins team has now increased to 24 members, with the aim to add more this year.